Matthew Neenan's 'Sunset, o639 Hours' performed by BalletX. Photo by Alexander Iziliaev. Philadelphia, Pennsylvania is a very culturally aware city. Sandwiched between New York and Washington, D.C., to its credit, it has its own profile. It has major museums, beautiful botanical gardens and a number of prominent wonderful performing companies. It also has a large piece of American history, the Liberty Bell. Christine Cox. Photo by Alexander Iziliaev. 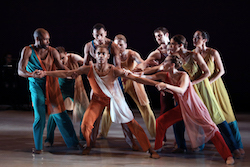 Among Philadelphia’s treasures is the premier contemporary dance company, BalletX. BalletX may be small in size, but its reputation is growing. It was founded as an experiment in 2005, by two Pennsylvania Ballet principal company dancers, Christine Cox, BalletX’s artistic and executive director, and the choreographer, Matthew Neenan. Its purpose is to launch new works. Using the basics of classical and contemporary styles, it presents innovative pieces performed by world-class dancers with extraordinary techniques. Cox says the company’s name “represents simplicity and the unknown, stressing ‘Ballet’ in the title because the company is based on classical form.” Cox and Neenan were best friends at Pennsylvania Ballet. They wanted to experiment with something new and different, to have an opportunity to create and have fun, and to focus more on a contemporary repertoire. Ballet is still a major concentration within BalletX, and the dancers start each day with a classical ballet class. Some of the works within the repertoire have the women in pointe shoes. Cox is a native of Pennsylvania, and attended a performing arts high school. She began her professional career with BalletMet in Columbus, Ohio, under the direction of John McFall in 1987, before joining Pennsylvania Ballet in 1993, when Christopher D’Amboise was its director, and she danced with the company under the direction of Roy Kaiser until her retirement from the stage in 2006. 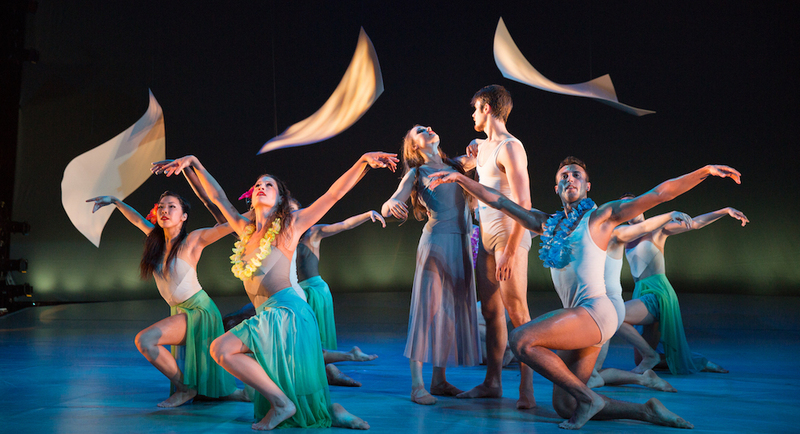 BalletX in Matthew Neenan’s ‘Credo’. Photo by Bill Hebert. After the early days of the company, Neenan left to concentrate on choreography, as he is the Choreographer in Residence at Pennsylvania Ballet, leaving the running of BalletX exclusively to Cox. He recently choreographed his first piece for New York City Ballet. Cox faces challenges as the sole artistic and executive director — bringing forth new ideas and nurturing her goals while keeping the company from “getting stogey and restricted.” Although the company performs mostly to taped music, Cox likes to use live musicians whenever possible, sometimes featuring a string quintet. The company is funded by major gifts from foundations. Cox says she is also “grateful for strong community support.” She keeps the company size small so as to provide 37 weeks of work and health insurance for her dancers. Andrea Yorita in Matthew Neenan’s ‘Increasing’. Photo by Alexander Iziliaev. BalletX maintains its varied repertoire by employing 10 dancers with eclectic training. Two among these outstanding members of the company are Caili Quan and Andrea Yorita. Both were initially trained in small ballet schools following the Royal Academy of Dance syllabus. Quan is originally from the island of Guam, where she began studying ballet at age six with John Grensbach. When Grensbach left the island to open a school in Oregon, Bettina Sanzotta took over Quan’s classes. Quan says Sanzotta “added a bit of everything” to her training; she especially liked hip hop. To further work on her ballet technique, at age 16, Quan auditioned for and was accepted to Ballet Academy East (BAE) in New York City. Like so many young dancers, she was the best dancer in her class in Guam, only to discover the many talented students at BAE. 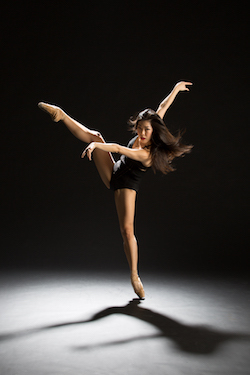 Completing her high school education and attending Hunter College in New York, Quan attended several intensive summer programs and was a trainee with the Richmond Ballet and an apprentice with First State Ballet in Delaware before joining BalletX. She has an interest in choreography and has produced several works. BalletX dancers Roderick Phifer, Skyler Lubin, Zachary Kapeluck, Chloe Perkes, Francesca Forcella, Richard Villaverde, Andrea Yorita, Caili Quan, Blake Krapels and Stanley Glover. Yorita hails from Irvine, California, where she trained at the Academy of Dance, under Merle Sepel and danced with the school’s company, American Pacific Ballet. Although she could have started a professional dance career at that time, she opted to further her academic education and graduated from UC Irvine with a degree in Dance Performance. Yorita is an example that a young dancer does not have to leave home to train at a school connected to a professional company. Having been trained in the RAD syllabus, Yorita passed her exams with distinction and also received the Solo Seal Award. She went on to become a finalist in the Genée International Ballet Competition. In the summers, she attended American Academy of Dance. At the encouragement of her university dance teacher, Jodie Gates, Yorita auditioned for BalletX immediately after graduation and has been with the company since 2012. BalletX holds auditions in Philadelphia and New York City. There will be an open audition in New York on February 24, 2019. 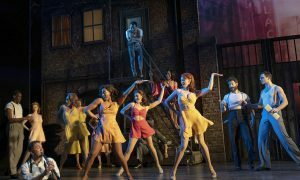 The selection process is long, as Cox likes to see not only how the dancers work, but she also holds interviews so she can get to know them and see their growth over several showings. Caili Quan’s ‘Shift’ performed in a Pop Up at the Barnes Foundation, featuring BalletX dancers Andrea Yorita and Zachary Kapeluck. Photo by Bill Hebert. BalletX is a company where choreographers can work with excellent dancers trained in both ballet and contemporary dance. Many of them have made several works for the company. It offers opportunities to emerging choreographers to hone their skills with a Choreographic Fellowship, where they are mentored by established choreographers. The process begins with submissions of a proposal. 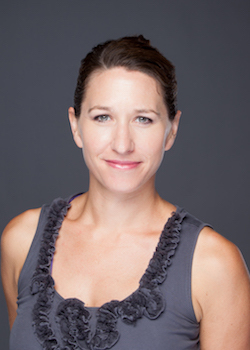 Cox also keeps an eye out for new works by choreographers she has seen, as she feels she is “sharing her family with them.” Neenan’s pieces are one of the mainstays of the company’s repertoire. In addition, high-profiled choreographers such as Trey McIntyre, Jorma Elo and Nicolo Fonte have several works in the company. BalletX has enjoyed a residency at the prestigious Vail International Dance Festival seven times in eight years. Quan had the opportunity of presenting one of her works this past summer. Andrea Yorita. Photo by Alexander Iziliaev. There have been many dance companies established and directed by women, some in the Philadelphia area. Barbara Weissberger was the original director of the Pennsylvania Ballet, and Joan Myers Brown established the Philadanco Dance Company. At this time in history, it is not only fitting to have a dance company like BalletX, with some of its repertoire by female choreographers, but also to have a woman with innovative ideas at the helm. Cox and Neenan had a real vision in creating this small but powerful company, and now Cox, as the sole artistic and executive director, has a clear vision for its future. 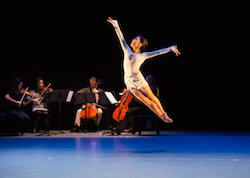 BalletX will give performances November 28 through December 9 in Philadelphia, at the Wilma Theater and will be in New York City at the Joyce Theater January 5-6. Check the company’s website for future 2019 dates and locations. By Sharon Wagner of Dance Informa.